Everyone's favorite princess is back with a holiday special with a special appearance by Sleeping Beauty! This special is everything a children's holiday movie should be! It's filled with wonder and magic! OFFICIAL SYNOPSIS: Deck the halls and ring in the season! It may be the coldest day of winter, but it's also the warmest, merriest adventure ever for SOFIA THE FIRST. Welcome to the most magical time of the year! This is Sofia's first Winter Holiday in the castle with her new family, but when King Roland goes missing in a raging snowstorm, Sofia leads her mother, Amber and James on a brave expedition aboard a flying sleigh to find him. As the blizzard whirls around them, their hopes are nearly dashed -- until Princess Aurora appears and reminds Sofia that her animal friends might hold the key to finding her dad and reuniting her family. Sparkling with festive fun -- plus four additional song-filled episodes -- HOLIDAY IN ENCHANCIA celebrates the greatest gift of all: spending special days with the people you love! 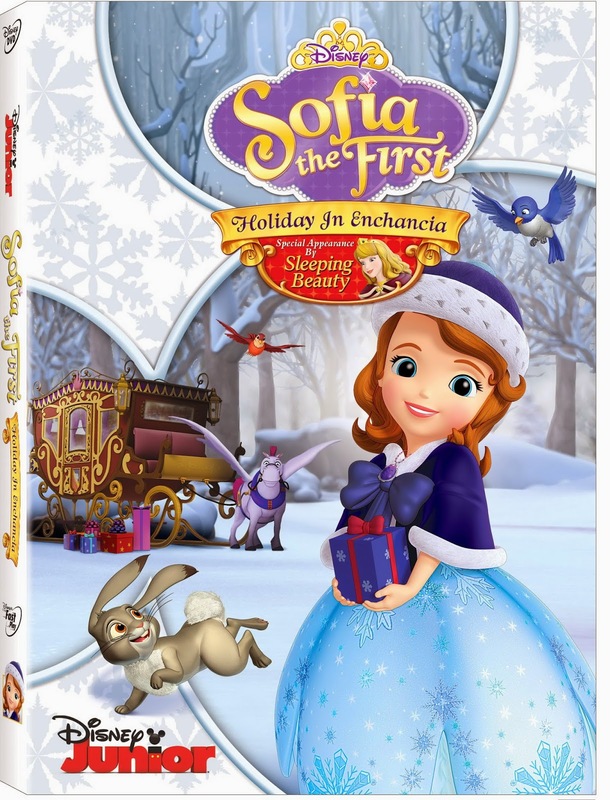 Sofia the First: Holiday in Enchancia will be released Tuesday, November 4th! This is the perfect stocking stuffer for your little princess!! The perfect holiday gift! When this aired last year, I watched it over and over. I hope they do another holiday episode this year! They did another Halloween one.